The New York Times bestseller that celebrates motherhood-for-mothers and those who love them. Beloved pastor and bestselling author T.D. 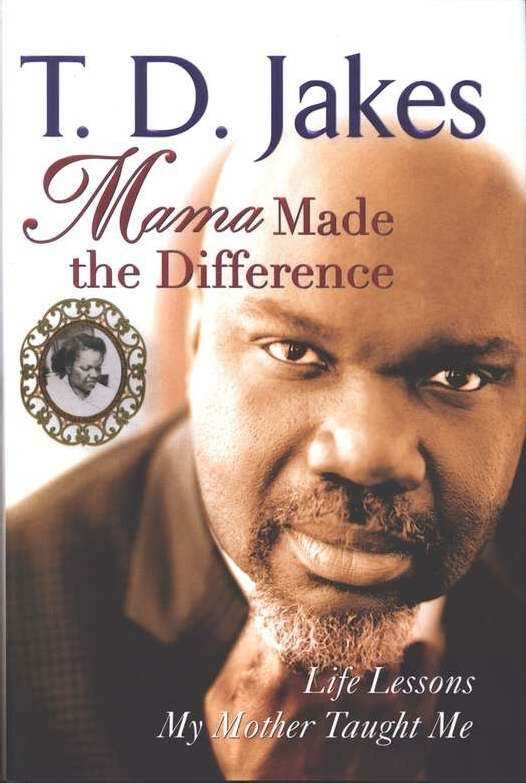 Jakes pays tribute to his mother-and mothers everywhere-with powerful, heartwarming stories and lessons from his own experiences as a son and pastor. Woven into these vignettes are Biblical stories and testimonials from famous children of mighty mothers whose nurturing wisdom and influence helped to shape their worlds, and whose invaluable lessons were the building blocks of great character. Bishop Jakes incorporates those lessons-from believing in God and oneself, to learning the value of support, responsibility, and celebrating others, to understanding the power of prayer, wisdom, and endurance-in Mama Made the Difference, a must-have not only for mothers, but also for daughters and sons, brothers and sisters, parents and grandparents-and anyone else who has ever felt the power of a mothers love. Mama Made The Difference by T.D. Jakes was published by Turnaround Publishers in February 2007 and is our 55706th best seller. The ISBN for Mama Made The Difference is 9780425213889. Be the first to review Mama Made The Difference! Got a question? No problem! Just click here to ask us about Mama Made The Difference.